A Roof Inspection starts when you see the brown stain on your bedroom ceiling. That is a sure sign that the integrity of your roof has broken down. You probably have a Roof Leak! The challenge is then to find how the water is getting into the house. First step would be to go to your attic and check to see if there are any outward signs of "Darkened Wood" or Wet Spot staining of your ceiling beams or Roof beams. The best time for doing this is during the rainstorm. If that's not possible soon after is great. Feel the wood beams, even if they don't appear wet you may still feel the dampness from where the water has been. Is there any wet insulation? There may be signs of water drips on the insulation lining. Doing a thorough check is paramount to finding the exact spot of the leak. If after going through all of that, whether you see a leaking area in the attic or not Give us a Call. 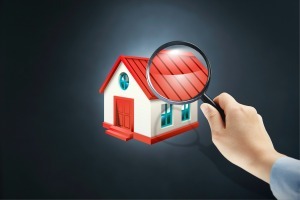 A reliable roofing contractor will be sent right out and they'll do a more comprehensive roof inspection that would include a "Hose Test" to spot exactly where the water is entering your home. Our Technicians are highly trained and have been doing this every single day for years. If there's a leak He'll find it. 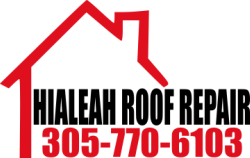 The Tech will then sit down with you and discuss the best plan of action to restore the integrity of your roof. He'll come back to the office and set out a proposal and contact you within 24 hours with his plan. Once you approve the work we'll get started on your permits and roof repair or installation. End that leaky roof. Call us today. The Roof isn't going to fix itself !